2016.02.25 in Bakalibriki centre was Medicine Day. Many children workings was did by two languages. Some of this works we are present to you in this page. 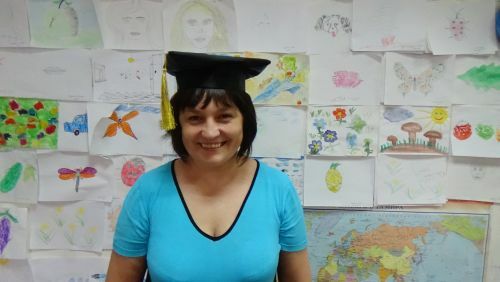 Kurkina Elena Vladimirovna – a TRIZ teacher Level III in accordance with the requirements of TRIZ-2009. 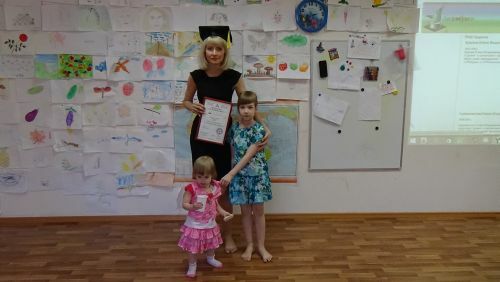 It has the right to teach the divisions “TRIZbabes“, “TRIZtoddlers“, “TRIZcildren” and “TRIZjuniors” of program “Bakalibriki“. Gerzhanovskaya Elena Vladimirovna. Is TRIZ teacher Level II in accordance with the requirements of TRIZ-2009. It has the right to teach the divisions “TRIZbabes”, “TRIZtoddlers” and “TRIZcildren” of program “Bakalibriki“. Angelova Diana Anvarovna. Is TRIZ teacher Level II in accordance with the requirements of TRIZ-2009. 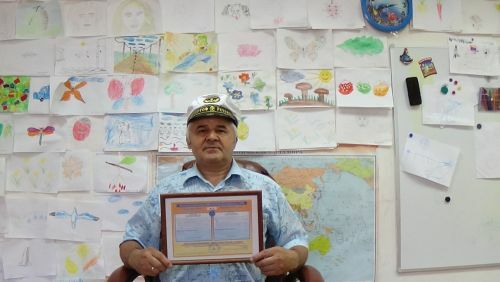 It has the right to teach the divisions “TRIZbabes”, “TRIZtoddlers” and “TRIZcildren” of program “Bakalibriki“. Angelov Andrey Vladimirivich. Is TRIZ teacher Level II in accordance with the requirements of TRIZ-2009. It has the right to teach the divisions “TRIZbabes”, “TRIZtoddlers” and “TRIZcildren” of program “Bakalibriki“. 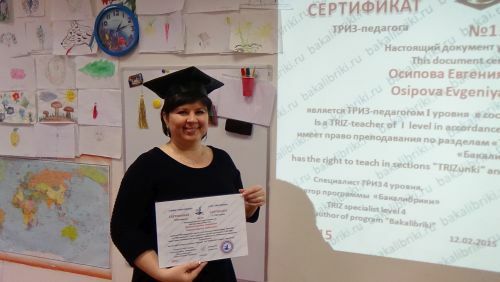 Semykina Natalia Nikolaevna – Is TRIZ teacher Level II in accordance with the requirements of TRIZ-2009. It has the right to teach the divisions “TRIZbabes”, “TRIZtoddlers” and “TRIZcildren” of program “Bakalibriki“. Jazenko Galina Vasiljevna. Is TRIZ teacher Level I in accordance with the requirements of TRIZ-2009. 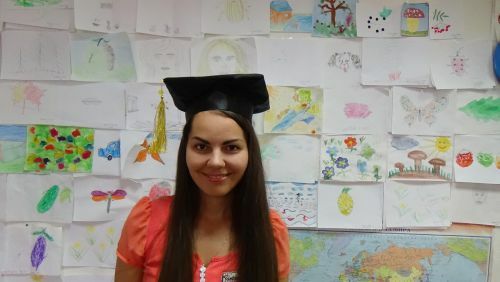 It has the right to teach the divisions “TRIZbabes” and “TRIZtoddlers” of program “Bakalibriki“. Lysova Margarita Valerianovna. Is TRIZ teacher Level I in accordance with the requirements of TRIZ-2009. 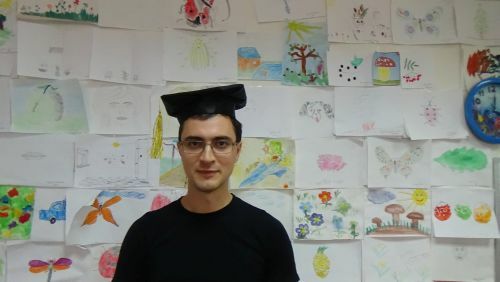 It has the right to teach the divisions “TRIZbabes” and “TRIZtoddlers” of program “Bakalibriki“. Osipova Evgeniya Alekseevna. Is TRIZ teacher Level I in accordance with the requirements of TRIZ-2009. 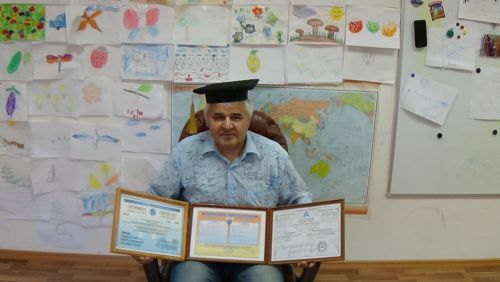 It has the right to teach the divisions “TRIZbabes” and “TRIZtoddlers” of program “Bakalibriki“. 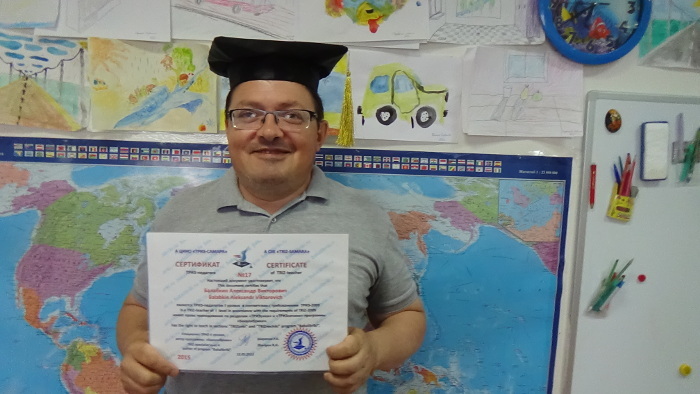 Karmazanov Aleksandr Vyacheslavovich/ Is TRIZ teacher Level II in accordance with the requirements of TRIZ-2009. 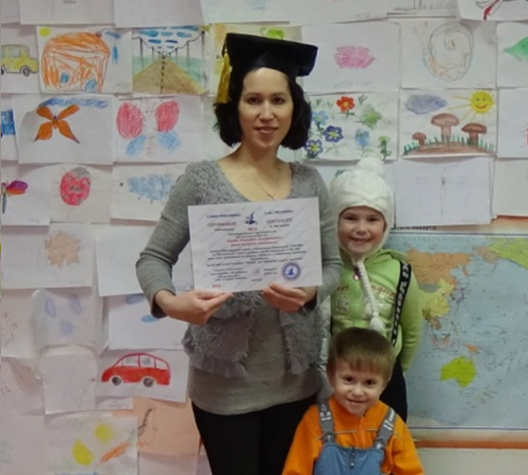 It has the right to teach the divisions “TRIZbabes”, “TRIZtoddlers” and “TRIZcildren” of program “Bakalibriki“. Tkach Ekaterina Aleksandrovna. Is TRIZ teacher Level II in accordance with the requirements of TRIZ-2009. It has the right to teach the divisions “TRIZbabes”, “TRIZtoddlers” and “TRIZcildren” of program “Bakalibriki“. Voronina Olga Yurievna. Is TRIZ teacher Level II in accordance with the requirements of TRIZ-2009. 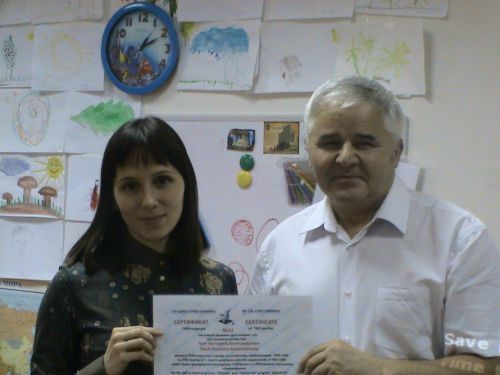 It has the right to teach the divisions “TRIZbabes”, “TRIZtoddlers” and “TRIZcildren” of program “Bakalibriki“. Balabkin Aleksndr Viktorovich. Is TRIZ teacher Level II in accordance with the requirements of TRIZ-2009. It has the right to teach the divisions “TRIZbabes”, “TRIZtoddlers” and “TRIZcildren” of program “Bakalibriki“. Petrova Olesya Jurjevna. Is TRIZ teacher Level II in accordance with the requirements of TRIZ-2009. 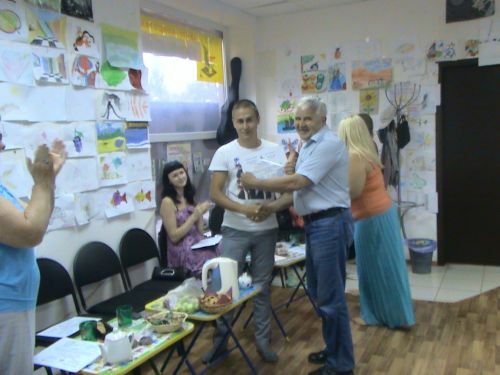 It has the right to teach the divisions “TRIZbabes”, “TRIZtoddlers” and “TRIZcildren” of program “Bakalibriki“. Gerganovskaja Evdokia Urjevna. Is TRIZ teacher Level II in accordance with the requirements of TRIZ-2009. It has the right to teach the divisions “TRIZbabes”, “TRIZtoddlers” and “TRIZcildren” of program “Bakalibriki“. 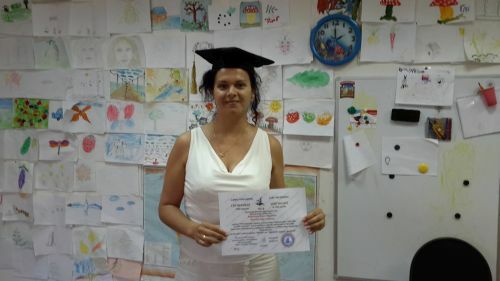 Parfenova Svetlana Aleksandrovna.Is TRIZ teacher Level II in accordance with the requirements of TRIZ-2009. It has the right to teach the divisions “TRIZbabes”, “TRIZtoddlers” and “TRIZcildren” of program “Bakalibriki“. Kurkina Veronika Alekseevna. Is TRIZ teacher Level II in accordance with the requirements of TRIZ-2009. It has the right to teach the divisions “TRIZbabes”, “TRIZtoddlers” and “TRIZcildren” of program “Bakalibriki“. Sharipov Pavel Rashidovich. Is TRIZ teacher Level II in accordance with the requirements of TRIZ-2009. It has the right to teach the divisions “TRIZbabes”, “TRIZtoddlers” and “TRIZcildren” of program “Bakalibriki“. Botvinko Olga Olegovna. Is TRIZ teacher Level II in accordance with the requirements of TRIZ-2009. It has the right to teach the divisions “TRIZbabes”, “TRIZtoddlers” and “TRIZcildren” of program “Bakalibriki“. Chernysheva Irina Petrovna. Is TRIZ teacher Level II in accordance with the requirements of TRIZ-2009. It has the right to teach the divisions “TRIZbabes”, “TRIZtoddlers” and “TRIZcildren” of program “Bakalibriki“. Balabkina Olga Vladimirovna. Is TRIZ teacher Level II in accordance with the requirements of TRIZ-2009. It has the right to teach the divisions “TRIZbabes”, “TRIZtoddlers” and “TRIZcildren” of program “Bakalibriki“. Shurupov Evgeny Andreevich. Is TRIZ teacher Level II in accordance with the requirements of TRIZ-2009. It has the right to teach the divisions “TRIZbabes”, “TRIZtoddlers” and “TRIZcildren” of program “Bakalibriki“. 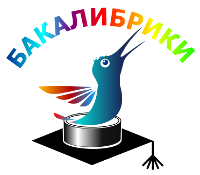 At soon center “Bakalibriki” will be on the 2 languages site (this site). While it was in the development stage.